I'm in the middle of line edits for Til Death, but my nerves are in knots waiting for the Hudson Bay Area RWA's JABBIC results. 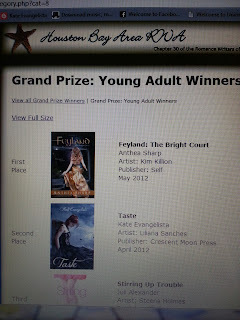 In case you haven't heard yet, the covers of Taste and Reaping Me Softly were finalists in the Young Adult category. I've been freaking out ever since I got the email. They announced the results today, and guess what? 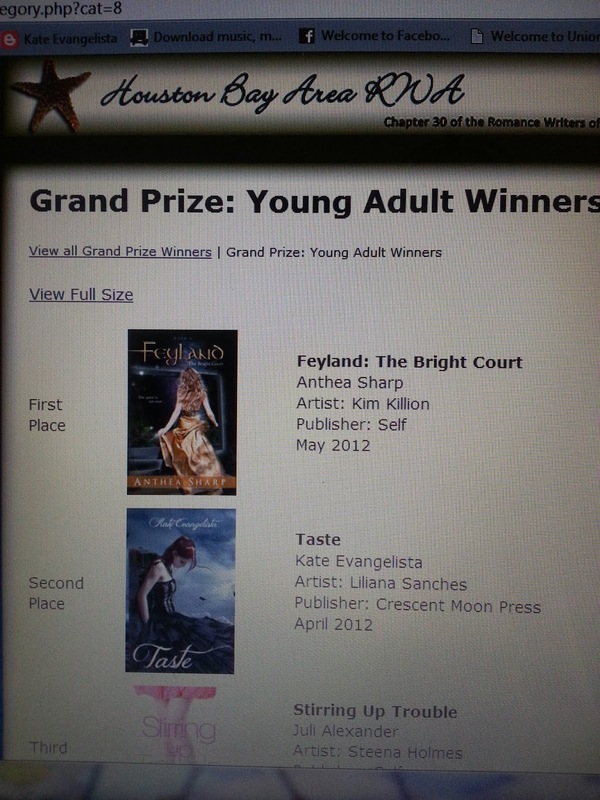 Taste wins 2nd place in the YA category! Thank you, Liliana for the ah-mazing cover! I was literally vibrating with happiness. I seriously had to force myself to calm down. The prize is a full-page color ad in the April Romance Writers Report. Way, way awesome! Okay, I'm vibrating again. I'm going to go calm myself down before I continue my line edits. While I'm away, click here if you want to check out who else won.